Happy Montessori Monday everyone. Today I’m going to show you one of my favorite activities that can be made for FREE! 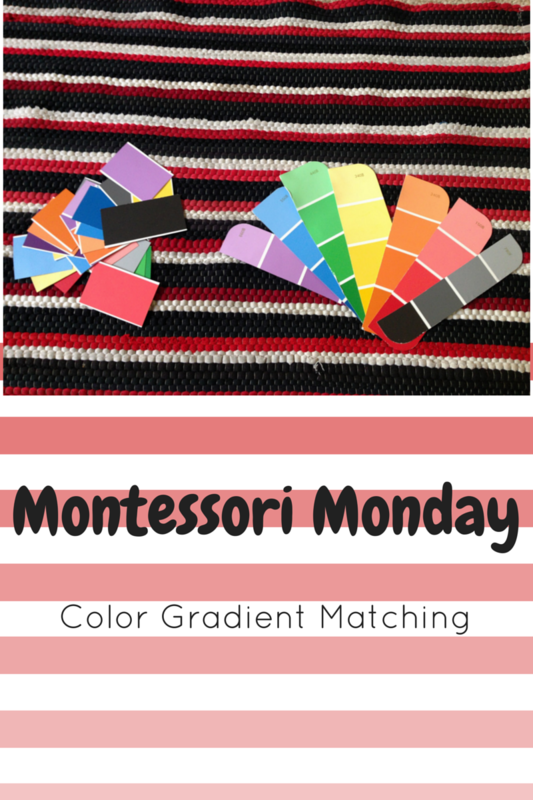 This is a classic Montessori PreK activity that children continue to enjoy and benefit from as they get older. We began this activity with my son at around 18 months and now at 4.5 years old he still loves it. There are “official” Montessori materials for this if you’d like to purchase something but if you’re looking to make it frugally at home all you need is a trip to your local hardware or paint supply store. I will tell you how we use this work now and how we used it when my son was young. As your child gains confidence try this with all the colors at the same time. To advance from this into color gradient matching cut the paint sample apart as shown in the picture above. Most samples are large enough to cut them in half and then separate each color. We begin with all the colors mixed together and sort them out first. For a younger child or a child just beginning this activity give them one color at a time. Our next step is going to be cutting apart the intact strip and playing a memory game with these. This work is one we really enjoy. I also find that it’s a good one to encourage my son to do if he’s struggling with another work because it’s an instant and easy success for him. Many parents put a work away because it’s too “easy.” If you find there is an easy work your child loves consider keeping it out. It will really boost their confidence and comfort level when trying out something new and tricky. Let me know if you have any questions! Feel free to email me here. 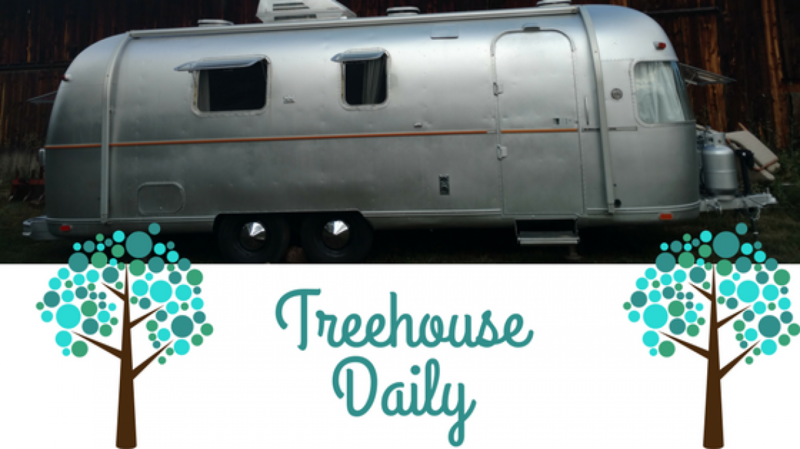 Also check out my brand new Facebook page for all the latest Treehouse Daily updates! Previous postWhat if love does win after all?